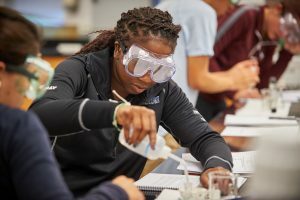 Summer Transfer Courses: If you are planning to take courses elsewhere during the summer, you must verify that these will transfer back to UConn and count towards your degree. If you are taking summer classes at another institution in Connecticut, use this database to verify how credits will transfer. If you are taking courses out-of-state, you must get prior course approval from Transfer Admissions. The approval process is completed through your Student Admin account. **Make an appointment with your advisor to request a substitution if you have transfer credits in EEB, MCB, or PNB that can count towards the 24 credits in your major.